On February 3rd between 6.00pm and 9.00pm, we are holding our popular Beauty Evening where many of our products will be largely discounted, enabling you not only to treat the special person in your life on Valentines Day but treat yourself as well. With ranges including ESPA, Jessica Nails and i.d Bareminerals there really is something for everyone. The evening will consist of wine and canapés on arrival, sample beauty treatments and a demonstration of our new product range GELeration nails. There will be gift packages available all at an unbeatable price. Tickets cost £5 (redeemable against any product purchased) and are available from Club Reception. We are also celebrating the New Year with two very special offers. For a limited time we are offering 30% off our full Spa Days. Your day starts with a complimentary drink on arrival and a welcome tour. You will then have your treatments over the course of the day, full use of our Spa facilities including indoor heated swimming pool, sauna, steam room and jacuzzi, use of our luxury robes and fluffy white slippers plus a delicious two course lunch. For men, we are offering an MOT FOR MEN, consisting of a back, neck and shoulder massage plus an Indian head massage, with full use of the Spa facilities, all for an unbelievable price of only £40. 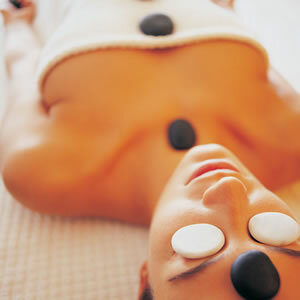 So why not relax in Sumptuous Luxury and rejuvenate your mind, body and soul? Stimulate your senses and surround yourself in the tranquil atmosphere of Holbrook House, Wincanton. For further details please contact the club on 01963 828844.